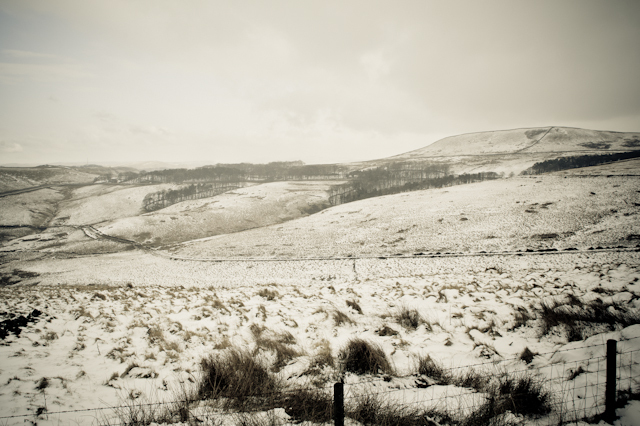 Sarah Craig:: Traveller::Photographer::Blogger: Photographing Goyt Valley AKA Normal service disrupted by snow! 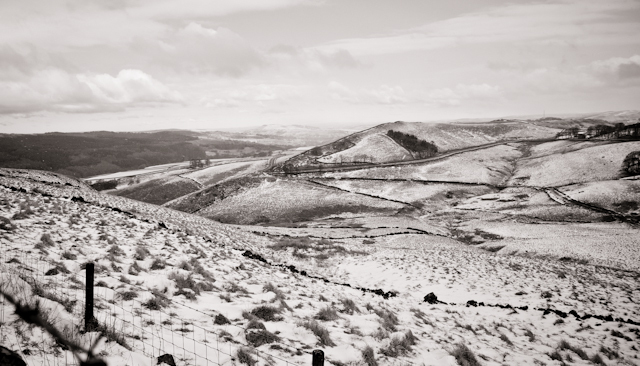 Photographing Goyt Valley AKA Normal service disrupted by snow! I really did have the intention of getting out and photographing the Peak District while I wait for my next job to start but it's just too cold and miserable out there!! We are nearly in the middle of March, supposedly spring, and it has just snowed... again! So this is the Goyt Valley view off Longhill Road on the way to Buxton, a reasonably easily accessible location (as in, park car by the side of the road and jump out for 5 minutes before freezing!) to get some pictures to explain why my blog is so quiet. So hopefully now you understand! As beautiful as it is, it's not great for going out! However I have a photoshoot this weekend- it's been too long since I took pictures of people, you know the thing I'm supposed to be best at! So it should be good, if a little cold!